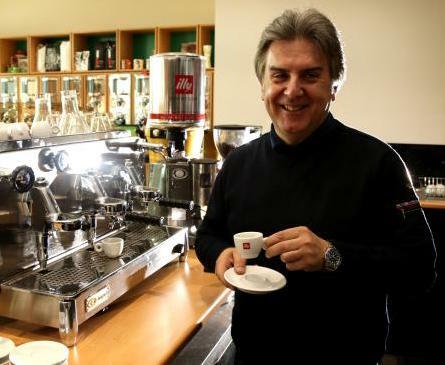 Peter Nikolakopoulos is one of the pre-eminent coffee experts in Australia. With over 25 years experience in the coffee industry and a proven track record in building brands, his insights in to market trends provide a valuable glimpse into the future. The Coffee Bean Distributors industry has grown over the past five years, to reach revenue of $1.9 billion in 2015-16. Increasing levels of discretionary income and higher demand from cafes and coffee shops are expected to support annualised revenue growth of 3.7% over the five years through 2015-16. The growing coffee culture in Australia has also been a contributing factor in the strong domestic demand for roasted coffee beans. This culture has made coffee less sensitive to volatile consumer sentiment. Industry revenue is expected to increase by 4.7% in 2015-16. The industry is characterized by a large number of small players with a low market share concentration. Because the industry has a low level of capital intensity, with the roaster the only major piece of equipment needed, barriers to entry are low. Most coffee bean distributors tend to be small, independent roasters. As a result, the level of competition within the industry is high. Industry participants often try to find niche markets, such as distributing coffee only from specific geographic regions. The majority of the coffee consumed in Australia is instant coffee, and the introduction of pod machines has provided a further threat for the industry. Industry participants have looked for ways to swing the ratio of coffee beans to instant coffee in their favour. Another key success factor has been building strong client relationships, which may involve providing after-sales support like barista training. What has changed and who has forced the change in the Coffee Industry. The above extract confirms in my mind what I have seen in action. Small coffee roasters who have mainly had a background as Barista’s, Coffee shop owners or Sales reps from larger more Traditional roasters have driven this change. Having worked as a consultant for some of these smaller roasters what I did learn is that they all make a good to very good milk based drink. Do they all roast coffee the way coffee should be roasted? Well the answer is varied. Some use good coffees and don’t roast with any consistency, some use average coffees and extract a reasonable taste. Some just market their coffee as special, 3rd wave etc. but basically do what other roasters do. Yes they buy some small lots of specialty coffee but have you tried an espresso with this coffee? Not very special in most cases. What these guys have done though is create interest and also a greater awareness and they have ATTRACTED better barista’s and have made coffee shop owners put greater emphasis on making coffee than I have seen in years gone by. There is no market for the traditional sales rep or career sales person in the coffee industry any more. You cannot be selling gelati one day and coffee the next. These smaller companies employ good coffee makers, who can talk coffee, make coffee, adjust grinders and even make coffee for customers clients. Coffee Shop Owners - must be serious about coffee, machines, baristas and blends. Training and delivery of product to the customer is essential. Barista’s – Must be committed and not only make coffee, be able to taste the coffee and to adjust grinders, clean machines and to be able to consistently pump out consistent coffee. Roasters Small – Must be able to supply consistency and training. Roaster Large – Must change the mindset of selling coffee as Commodity.